Today Google+ introduced Sign-In, their version of the widely adopted Facebook Connect in an effort to expand and widen its reach on the web. Google has already partnered with several companies including: Fancy, Fitbit, OpenTable, and Flixster. The concept is pretty much the same as Facebook Connect with you signing in to your Gmail, Youtube, or other Google Service account and having that information save as your login. An interesting feature that Sign-In has is that if the company has an Android app (like Fancy), you can remotely install it when you sign in on their website. Another feature that Sign-In has is the ability to share links with specific Circles on your Google+ account in addition to allowing them to view the post in a special “interactive” layout. Google has been on a roll as of late, introducing Glass to the public, a new Chromebook, and now an easier way to sign in to your favorite websites and apps. For more details and full list of companies participating in Sign-In, please visit their announcement page. Update: Fancy posted this photo on their Twitter account of the cake Google sent them for the launch of Google+ Sign-In. Hot off the heels of announcing an early access to Glass for the public, Google today released their newest addition to the Chromebook family, the Chromebook Pixel. Like the other members of the family, the Chromebook Pixel lives in the cloud and utilizes the browser as its gateway to the operating system. That’s where the similarities end because the Pixel uses a 12.85”, 2560x1700 touch screen made of Gorilla Glass that has 4.3 million pixels, easily on par with Apple’s Retina display. The internals of the Pixel are also upgraded with 4GB of RAM, 32 GB SSD (also comes in 64 GB) and an Intel Core i5 Processor. Also different from previous Chromebooks is it's high quality glass touchpad, two dual-band WiFi antennas, a Piano Hinge that allows for easy opening and closing of the Pixel with even one finger and a Lightbar, "Just because it looks cool," according to Google. On the downside though, it advertises 5 hours of battery life, uses an Intel HD Graphics 4000 graphics card and comes equipped with 2 USB 2.0 ports. Purchasing yours now will also give you 1 TB of storage on Google Drive for 3 years along with 12 sessions of GoGo Inflight Internet. The Chromebook Pixel comes in two models with a Wi-Fi only and Wi-Fi+LTE version. Prices start at $1,299 and are shipping in 3-5 business days. Last summer Google announced at their Google I/O conference their “Explorer” edition of its Google Glass project allowing early buyers an opportunity to pre-order one for $1500. For those who think they are, “...creative individuals who want to join us and be a part of shaping the future of Glass,” Google is now taking open applications to allow the public to purchase their bold new headset. For those unfamiliar with the Glass project, it is an augmented reality head-set display that would display smartphone like information. Examples of what it could do include: taking a photo or video, allowing others to see what you see in real-time, give directions or even translate text for you. To apply, you’ll need to submit an application via Google+ or Twitter being 50 words or less describing what you would do if you had Glass and begin it with hashtag #ifihadglass. You can include up to 5 photos and a short 15 second max video also. If you get accepted you’ll still need the $1500 but you will be able to attend a, “special pick-up experience,” in Los Angeles, New York, or San Francisco. Good luck because the deadline is February 27th. Following today's announcement of the Nexus 10, Google has also released an updated Nexus 7 tablet with 32GB of storage and HSPA+ wireless data for $299 without contract that quickly overshadowed Apple's WiFi-only $329 iPad mini with 16GB of storage. The Asus-made, 7-inch Nexus 7 tablet will still be available in a 16GB and 32GB WiFi-only variants for $199 and $249, respectively. 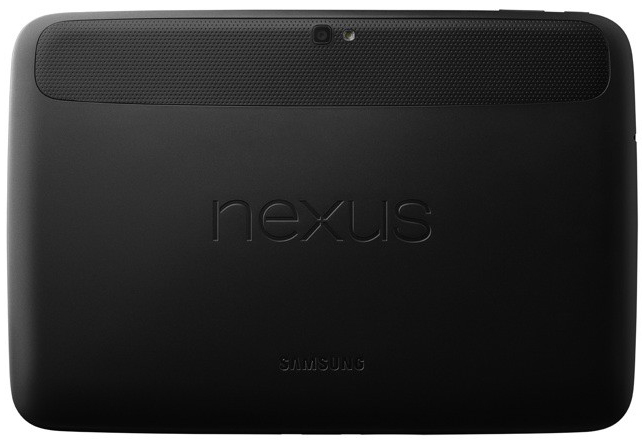 Expect the new 32GB Nexus 7 with HSPA+ to go on sale on November 13. Google's scheduled New York announcement event was canceled due to severe weather setbacks, but that didn't stop Google from announcing a few of its new gadgets today, notably its greatest flagship tablet. Meet Google's new Nexus 10 tablet starting at $399 with 16GB of storage. The Samsung-made Nexus 10 is Google's answer to the iPad 4, a slick and powerful 10-inch tablet with a enormously sharp screen resolution of 2560x1600 boasting a pixel density of 300 ppi that rivals if not beats Apple's 9.7-inch iPad 4 with a screen resolution of 2048x1536 (264 ppi). The Nexus 10 will run a highly updated version of Android 4.2 Jelly Bean and features a 8.9mm thick form factor with a matte grippable backside and 9 hours of battery life with the following specs - 2GB of RAM, dual-core 1.7GHz Cortex A15 processor, Mali T604 graphics chip, WiFi 802.11 b/g/n (MIMO+HT40), stereo speakers, NFC, Gorilla Glass 2, magnetic charging, micro-USB and HDMI ports. And who can forget about cameras right? With the 10-inch tablet comes a 5-megapixel rear-facing camera as well a 1.9-megapixel front-facing camera. So it really has all the bells and whistles. Google's Nexus 10 tablet will come in a 16GB WiFi-only model and 32GB WiFi-only model for $399 and $499, respectively. Both will become available on November 13 in North America, Europe, Asia and Australia. Google is on a ramped release, its latest offering is Chrome browser for iOS. Google's Chrome app is now available for free to download in the App Store for iPad, iPhone and iPod Touch. Chrome for iOS displays like its desktop counterpart on the iPad while on the iPhone and iPod Touch tabs open up in deck of cards-like orderly fashion and close when you swipe them off the screen. Chrome for iOS features account syncing that brings all of your open tabs, bookmarks and omnibox data from your computer to your iOS device, and 'Incognito' which lets users browse the web in private mode without saving history, data and tracking cookies.